Those scary Reindeer are back! And they?ve brought new Santa monsters like Teeny Tiny Tim, Recalled Toys, and (eek!) Mrs. Claus. You know what you have to do. Kill them and take their stuff! Armor yourself in Tinsel, and grab the Snow Shoes and the Reindeer Hat. 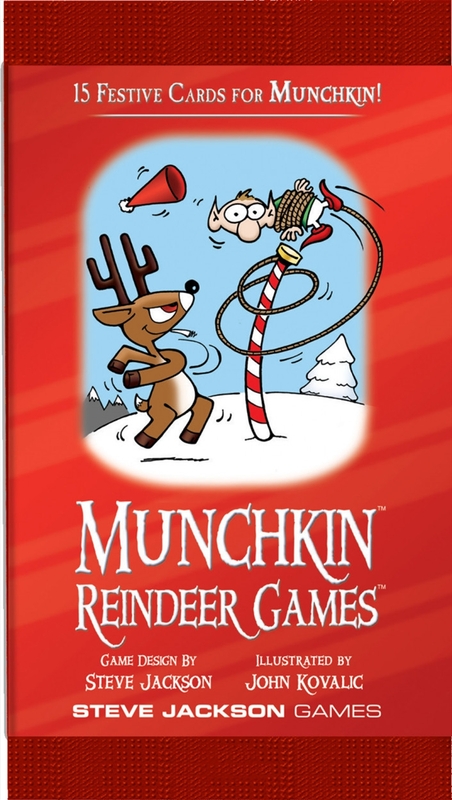 Celebrate Christmas the Munchkin way ? with Reindeer Games!